would it be possible to fit this insignia cluster or the big full screen into an astra J? It maybe possible depending if the shape is the same etc, but you may find issues with the Cruise control. I would love to try and looking as the clusters they look the same shape there is a few on ebay, but being in australia i really can't justify spending the money on postage on something that may work. the plugs even look the same. I the normal colour one did fit and work the large TFT screen version would be awesome. If your willing to pay for parts I am willing to give it a go for you. From You are not allowed to view links. Register or Login to view. pic the bottom one from Charles trents is my local yard so could even collect & save the £12 P&P. Just so you know I've done a few IPC upgrades for people on J's. Ive done a little bit of research and looks like the IPC wold have to have the eeprom reprogrammed to have the cars VIN, CarPass, code and milage changed to fit the car and if it fits in the dash and the plug wires are the same and if the communication protocol is the same, it should work. i think im just going to buy one and try it in a few weeks. (29:th-May-2017, 11:17:41)Tylerrattv Wrote: You are not allowed to view links. Register or Login to view. Ive done a little bit of research and looks like the IPC wold have to have the eeprom reprogrammed to have the cars VIN, CarPass, code and milage changed to fit the car and if it fits in the dash and the plug wires are the same and if the communication protocol is the same, it should work. did you upgrade your clock, did it work?? 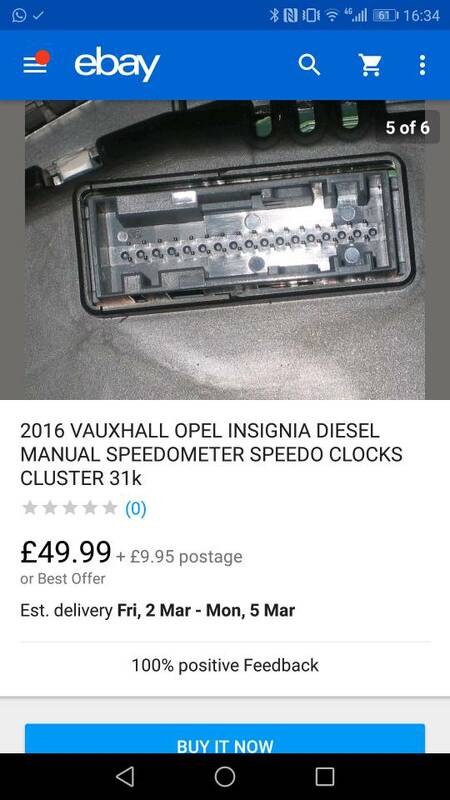 Can't recall if the connector is the same on the J as it is on the Insignia speedo (see pic) anyone know? The connector is the same I brought a set to play with totally different to the Astra, there is no separate EEPROM inside. As of yet I've not tried reading any chips as I have too much going on. They also play about with the 11bit gmlan codes that programs everything, and send codes to their IPC's via the OBDii port.. basically the same way a tech2/MDI does, but they are sending the codes themselves... so have no restrictions to what they send.. but it takes ages to learn all the godes, and their GMLan bible of codes are for the holden versions, our vauxhall GMLan codes are likely different. Any of their research public? Would love to have a look. their site is : You are not allowed to view links. Register or Login to view. 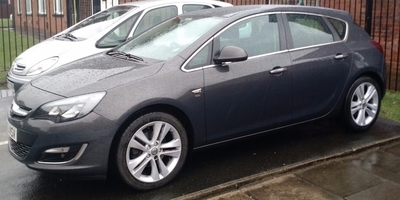 Hi did anyone actually manage to use the insignia cluster on the Astra J? You are not allowed to view links. Register or Login to view. & I have made some progress. Why you didn't go for bigger one? (14:th-Aug-2018, 09:37:00)Roksab Wrote: You are not allowed to view links. Register or Login to view. Why you didn't go for bigger one? Because there wasn't one when I brought this. and also the fact this was a cheap. I'm not going to spend silly money on something that may not work. How far have you got with this rusty I’ve been wanting to get one of these, let me know if you need another one to play with I’ll buy one . The big one with the sat nav would be good. (14:th-Aug-2018, 18:38:40)Sh4rk2007 Wrote: You are not allowed to view links. Register or Login to view. How far have you got with this rusty I’ve been wanting to get one of these, let me know if you need another one to play with I’ll buy one . The big one with the sat nav would be good. We hae got as far as power up & trying to get all the steering wheel controls working. We have tried to use left stork but it won't do anything. everything else works off the Astra controls. With the insignia controls we can cycle the menus and set speed limiter and and c/c but can't control Radio (most likely need the HMI module). I wouldn't mind getting the new siggy controls working if possible because I think they are nicer than the J one's. (15:th-Aug-2018, 15:49:31)Rusty2009 Wrote: You are not allowed to view links. Register or Login to view. I'm trying to figure out how to change VIN in cluster. I know that Astra J has it stroed in 24c16 eeprom so this is not that tricky. How about isignia ones? Would you mind sharing? It seems that someone is getting close!!! Current time: 25:th-Apr-2019, 07:48:13 Powered By MyBB, © 2002-2019 MyBB Group.